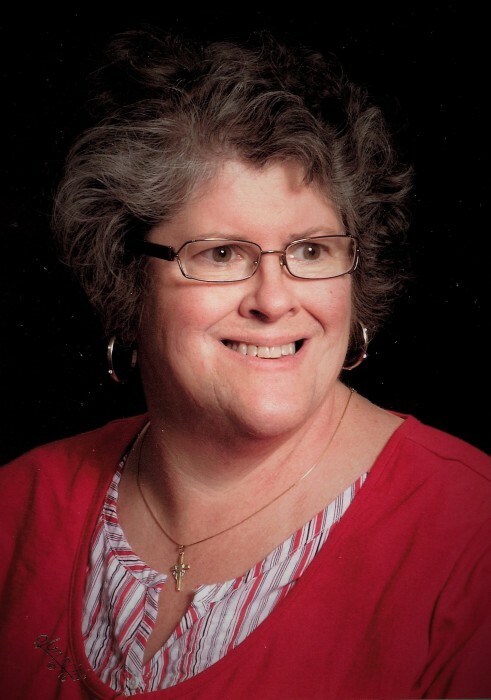 Mindy L. Earnhart, 59, of Albion, passed away at 4:30 a.m., on Friday, November 30, 2018, at Parkview Regional Medical Center. Born in Kendallville, on June 6, 1959, to Gene and Bonnie (Renkenberger) Earnhart. She spent her formative years in Green Center in Noble County, graduating from Churubusco High School in 1977. After High School she attended and graduated from The Indiana University in 1981. She worked as a sales representative for Avnet Electronics in Carmel. She was very good at what she did, earning several sales incentives. Mindy was a member of the Carmel United Methodist Church. She enjoyed gardening, cooking, her cats and shopping. She was also a big supporter and participant of the Walk to Emmaus. Mindy is survived by her mother, Bonnie Earnhart; a sister, Irene (Ken) Miller; two brothers, Edgar (Marjory) Earnhart and Brian (Mollie) Earnhart; three nieces and two nephews; two great-nieces and a great-nephew. She is preceded in death by her father, Gene Earnhart. Services will take place at Sheets & Childs Funeral Home on Saturday, December 8, 2018, at 11:00 a.m., with calling one hour prior to the service. Family will receive friends on Friday, December 7, 2018, from 4:00 p.m. until 8:00 p.m.
Burial taking place at Christian Chapel Cemetery, Merriam at a later date. In Lieu of flowers, please direct memorials to the Michael J. Fox Foundation.